NEW ZEALAND, Wellington, 20 March, 2015 – Leading games publisher PikPok® today announced the launch of the Four Letters™ app for iPhone, iPad, iPod touch, and Android, available now from the App Store and Google Play. The innovative endless word puzzle game extends PikPok’s publishing portfolio into new territory, joining an existing lineup of great sports, action, and arcade games. The Four Letters app prompts players to spell a series of 4 letter words against the clock. Drawing on the thousands of 4 letter words available, Four Letters simultaneously challenges and builds the player’s vocabulary. 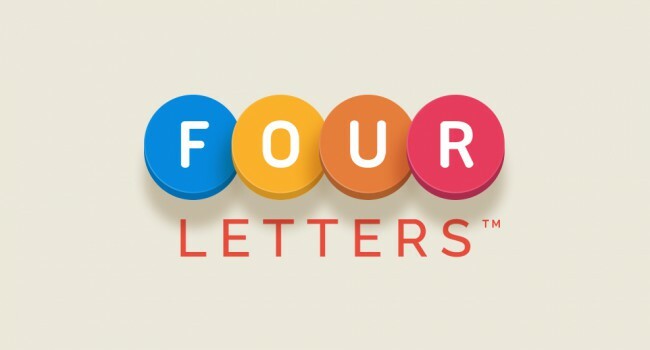 Packaged in a bright and fun style, with competitive play and sharing elements, Four Letters is a fun “pick up and play” game that players of all ages will enjoy. The Four Letters app is available for free from the App Store on iPhone, iPad and iPod touch or at http://www.appstore.com/fourletters, and from Google Play at http://play.google.com.